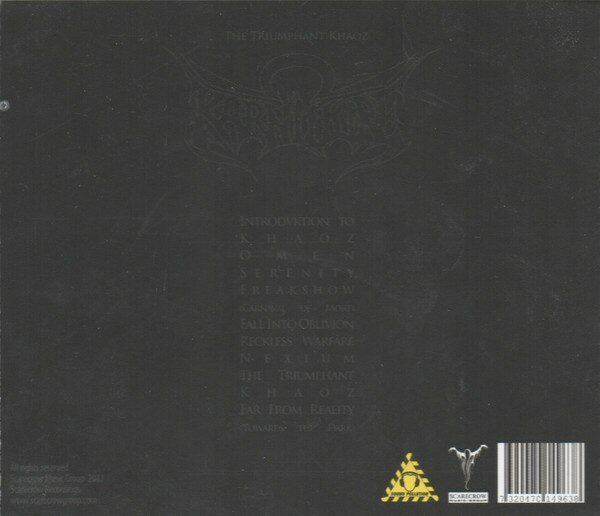 The Triumphant Khaoz is the debut album from death-thrashers Karnivore (featuring current and ex-El Camino members), hailing from Nassjo, Sweden. 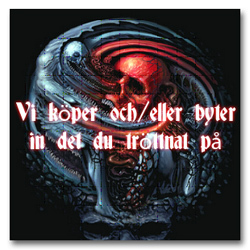 Although hailing from Sweden, these guys have chosen not to copy that typical Swedish sound. Instead, this has more in common with the aforementioned Sodom and Destruction – two thrash giants from Germany who are still making waves with a sound not too dissimilar from Karnivore’s own putrid pile of rust. 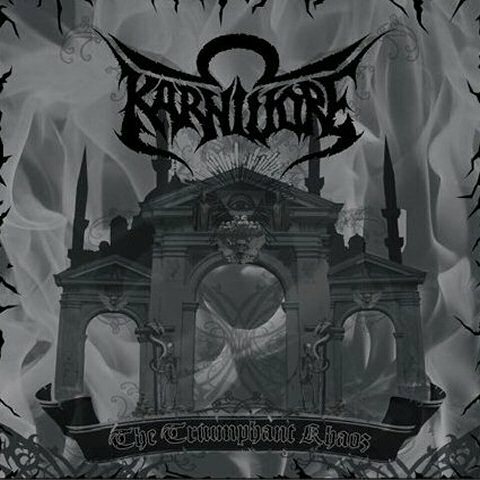 Karnivore demonstrates with this album that they are really capable of writing good songs.